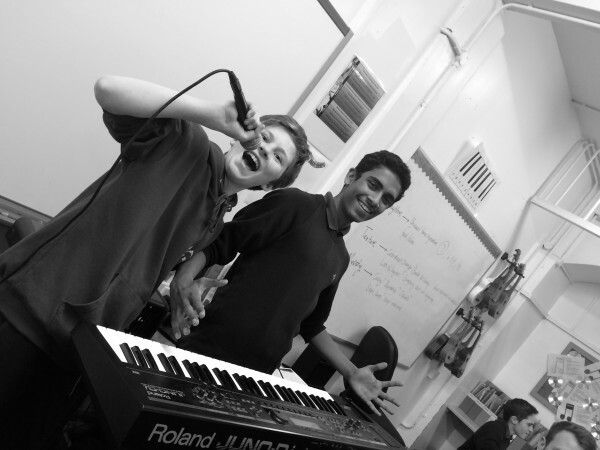 Love Music run Band Workshops in a variety of Sussex Schools both after school and on Saturday mornings. The workshops are designed specifically for aspiring musicians who are seeking to develop their skills and gain valuable band experience. They are a great way to build self-confidence and develop musicianship skills. 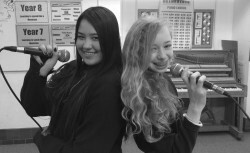 Students learn how to read charts, play with expression, improve their soloing, as well as gaining essential ensemble skills and learn how to rehearse effectively. 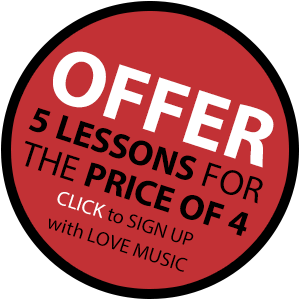 You don’t have to have lessons with us to join a workshop, but you do need a certain level of ability on your instrument or singing – to give you some idea we recommend a grade 2+ standard. We tailor our courses and resources to different levels of ability so that all students have a challenge that is appropriate for them. Technical: focus on instrumental/vocal technique, musical arrangements and theory. 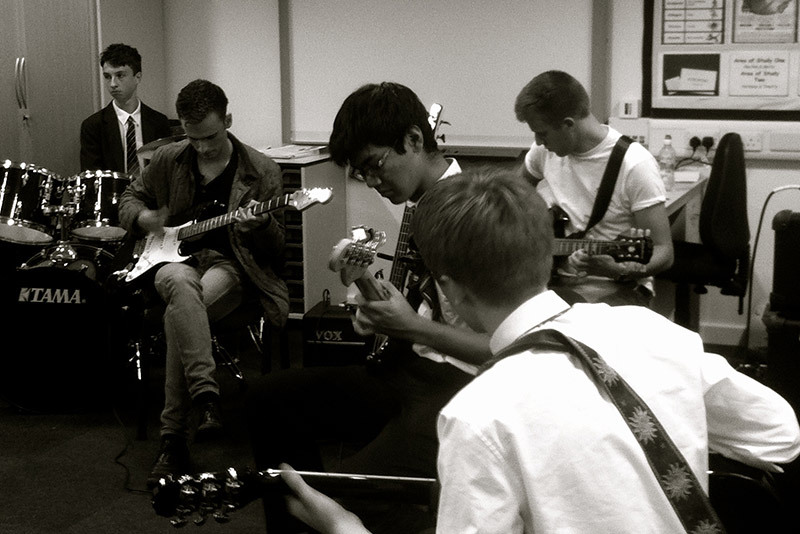 Band rehearsal: exploring musical arrangements, guided by music experts. Performance: sharing work with fellow musicians/audiences. 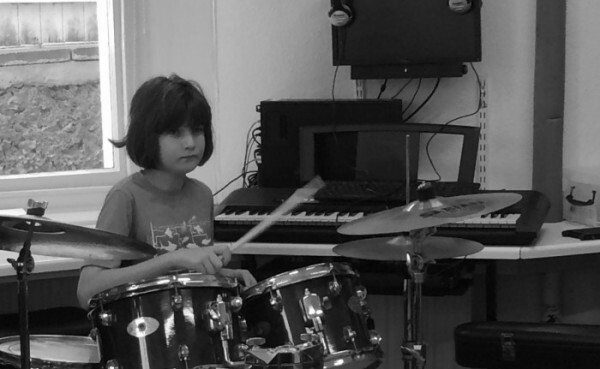 Workshops are run by professional, industry-experienced musicians who are trained to teach as well as play.